You know who they are, don’t you? The students who talk all the time, but then turn into wallflowers when it’s time to talk in their small groups. I saw it happen just the other day. There’s an 8th grader at my church who is an introvert. He was standing by himself until one of his friends walked in. His friend is just like him. Neither of them will ever be the life of the party, but they’re willing to talk if they feel like they have something to say. The thing is, when those students are in their small group, they clam up and don’t say much of anything. They aren’t intentionally checking out and becoming disengaged, they just don’t feel confident about speaking up in that setting. Which leads to a question: How can you (or your small group leaders) get students like that to join the conversation? 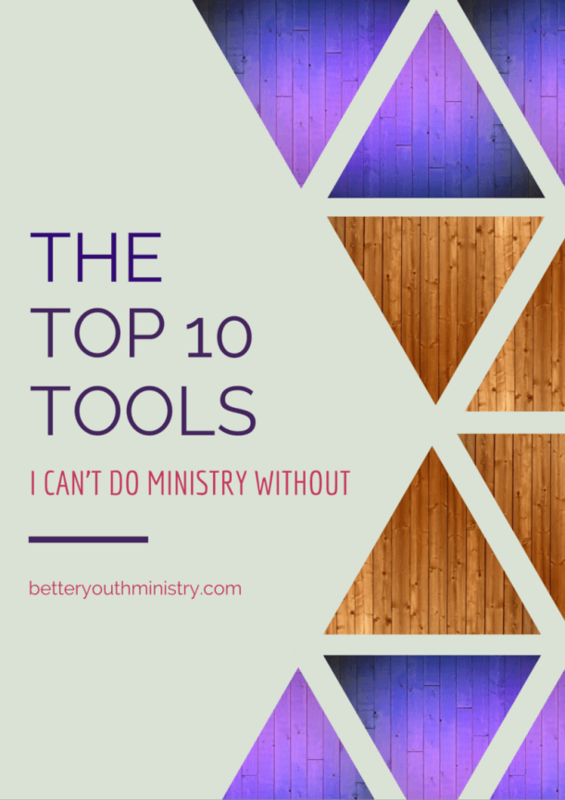 Contributing to the small group conversation is an important part of a student’s experience in your ministry. If they’re able to contribute in meaningful ways, then they’ll feel like they’re part of the group. If they aren’t able to contribute, then they will feel left out. How can you get them to chime in? Simply put, if a student does not feel like the environment is safe, then he or she will not talk. Safety in this sense goes beyond the absence of a physical threat, though that is included. A safe environment is one in which a student feels secure enough to speak freely. Threats to a safe environment include leaders who cut students off mid-sentence, students who mock the responses of other students, and information leaks that break the pact of confidentiality. If any of those things are happening in the group, then quieter students will stay quiet. One way to create (and maintain) a safe environment is to explain the Rules of Engagement (for girls, you might want to call them “Small Group Promises) at the beginning of each group meeting. These should include things like showing each other respect, not interrupting another person’s story, staying on-topic, not sharing group stuff outside of the group, and cleaning up after yourself. These simple rules will help your students feel safe in their groups. We all have those over-achieving students who want to answer every question. They remind me of contestants on Jeopardy who click their buzzer and start their answer before the host has finished asking the question. I appreciate their enthusiasm, but it makes it hard or other, quieter students to get into the conversation. In addition to those students, there are also those who have turned getting sidetracked into an art form. Somehow, these students manage to turn a question about the ascension of Jesus into an opportunity to tell a story about how they flushed a dead goldfish down the toilet when they were 6 years old. Wait Time means that you give students 10 seconds to think about their answers before they share them. Not only does this give everyone a chance to consider their responses, but it also gives students who aren’t as quick-witted time to think without being interrupted. This is a great way to get your students talking because it removes the small group leader from the middle of the conversation. With this tactic, each student turns to the person on his or her right or left and talks about the way they would answer the question. After each student has had enough time to share with their partner, the two students decide which answer they would like to share with the group. Asking an introverted student to discuss their answer with only one person alleviates the pressure of having to compete with everyone else in the group for air time. If a small group leader uses “turn-and-talk,” it is important to let students know how much time they have to discuss their answers. A 1-minute conversation needs to move at a quicker pace than a 5-minute conversation, so students show be told how long their conversations should last. Getting your students to talk in their small groups isn’t just a nice relational thing to do in order to help them feel included. It’s an actually an important part of their faith development. When students use their own words to describe an aspect of faith or articulate a response to a question, they internalize that concept in a deeper way. Educator Norman Eng explains, “Getting students to talk is not just to check for understanding, but also to develop thinking. The more they talk, the deeper they think” (Teaching College, Kindle Loc. 1778). 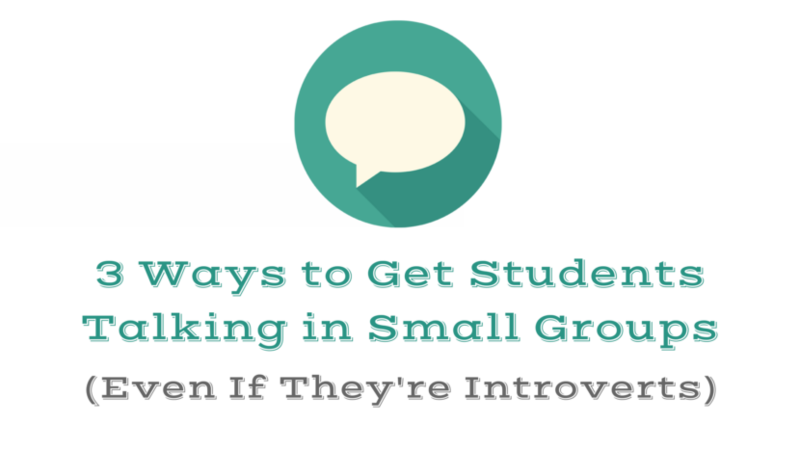 So, how can you get students talking in small groups?